FT7500 series junction boxes are designed to provide a convenient, safe, and protected point of service for terminal side assessories. The juction box is intended to house the connections between a rack monitor, and its supporting accessories such as a deadman switch, and rack cords. 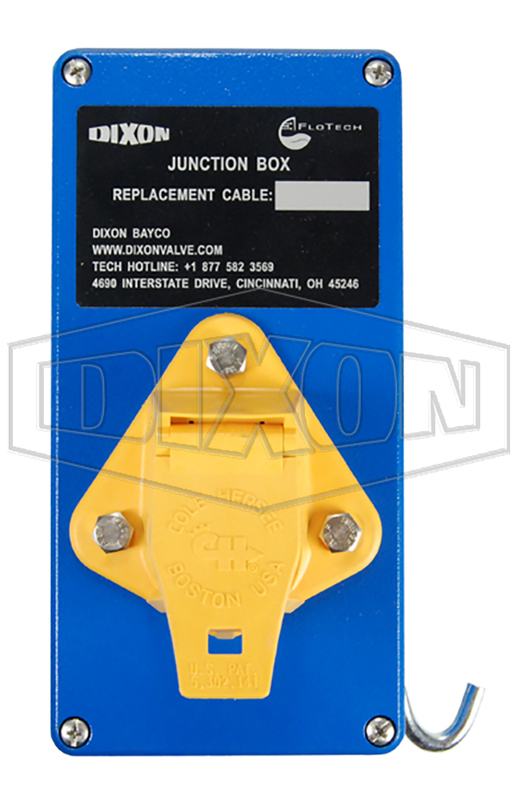 When installed correctly, the junction box will protect cack cords from excessive wear and tear, and cord connections from rain, dirt, and corrosion. The pull away socket is designed to allow terminal operators to quickly install or exchange rack cords due to a driver pulling away while still connected. Integrated pull away 13 pin J560 socket compatible with grey(7 pin) and yellow(13 pin) cords.